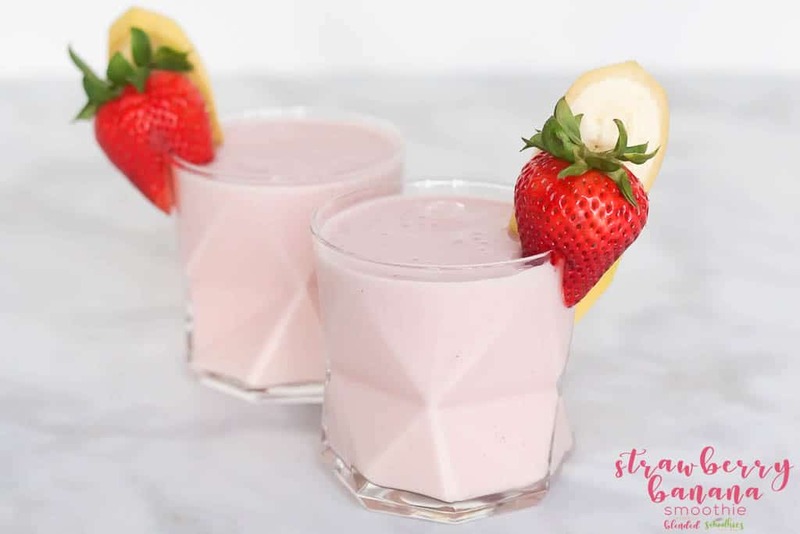 It is super easy to make a strawberry banana smoothie! 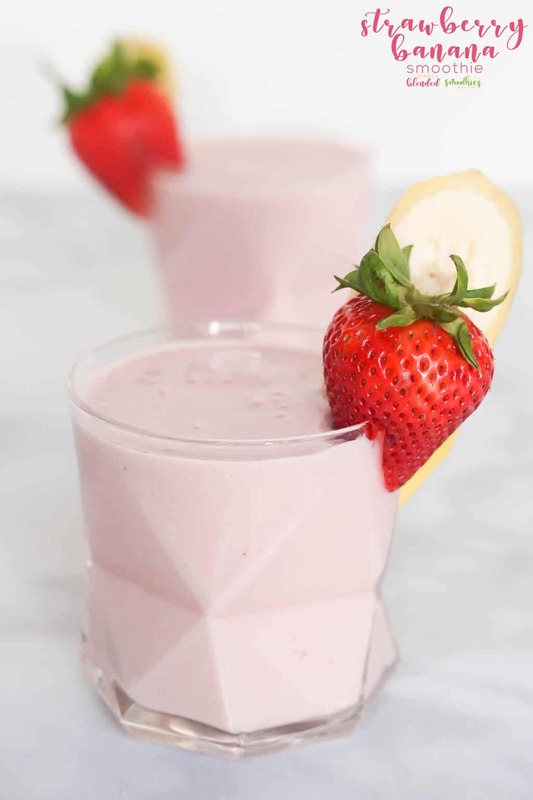 All you need to do is put your strawberries, bananas, milk, yogurt and maybe ice (if your fruit is not frozen) into a blender and blend it until smooth. 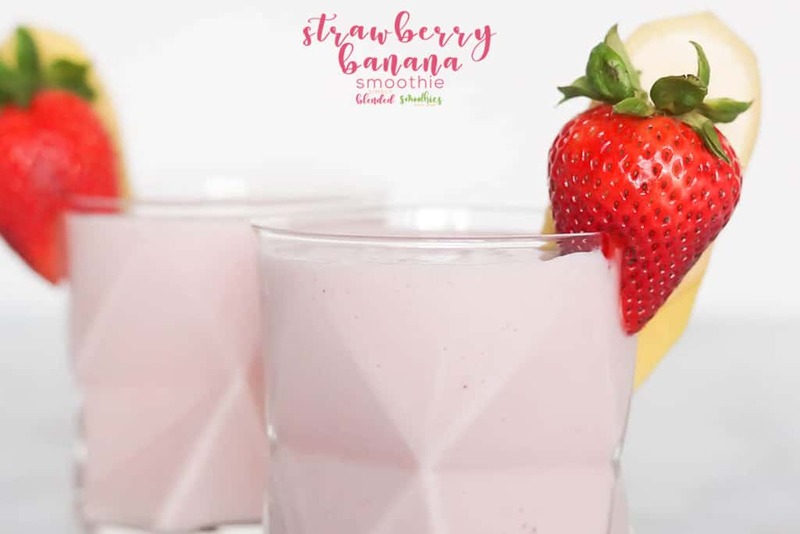 You can, of course, add other ingredients if you want to mix it up, but this basic strawberry banana smoothie recipe is delicious and definitely a hit with my kids! 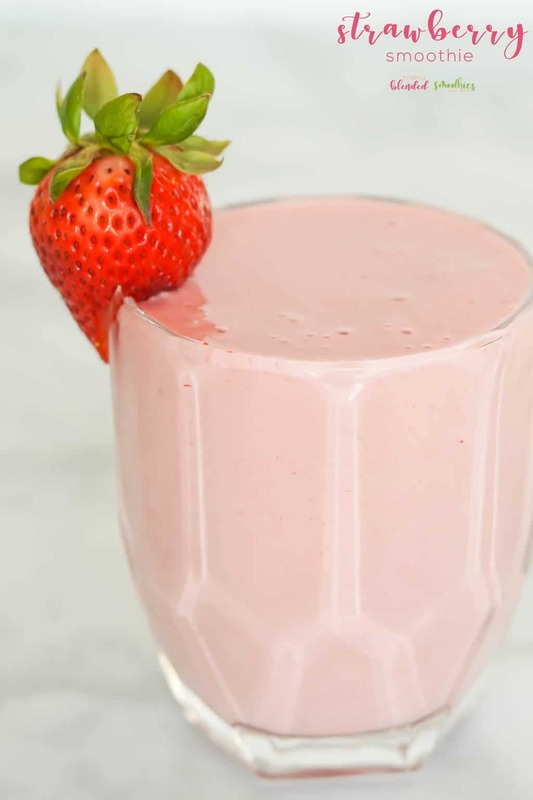 Is a strawberry and banana smoothie healthy? Yes of course it is! Well, at least my recipe is! 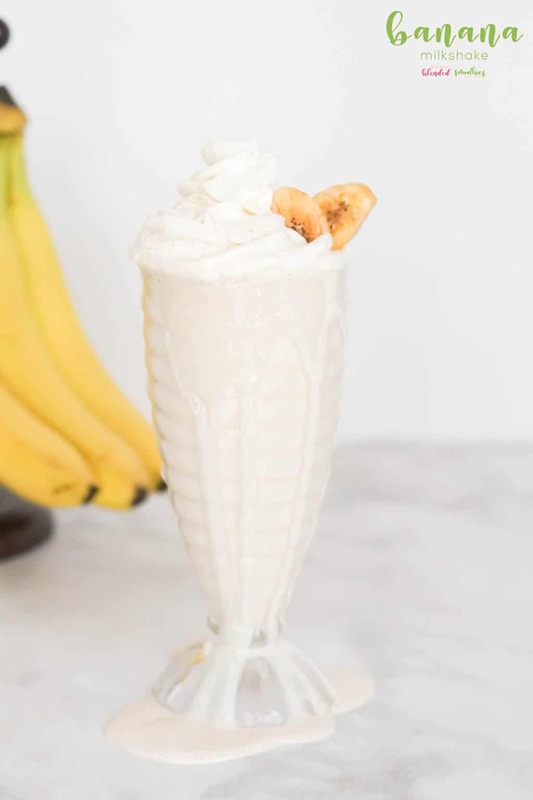 This is not a recipe with added sugar or weird ingredients. 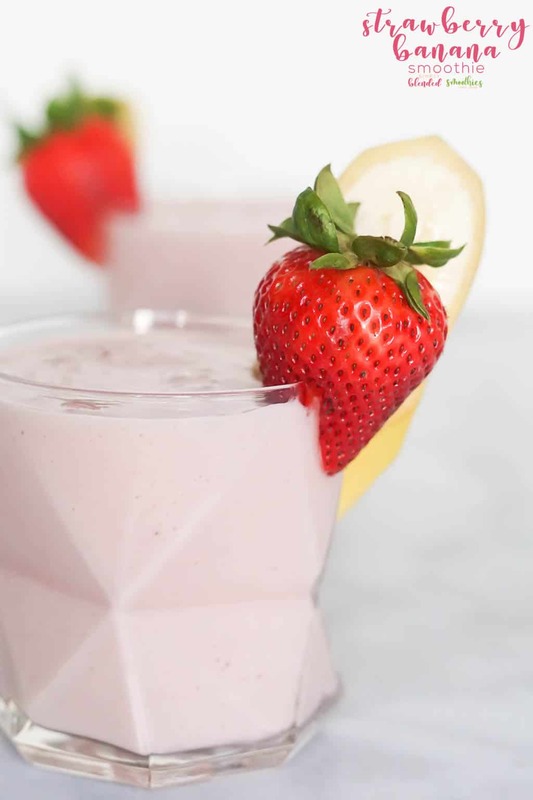 My recipe calls for whole fruits, which provide fiber, nutrients, and a whole lot of other healthy things for your body, milk (hello calcium and protein) and yogurt which adds more calcium and protein to your smoothie. If you are concerned about added sugars because of the yogurt, I suggest getting a greek style yogurt. 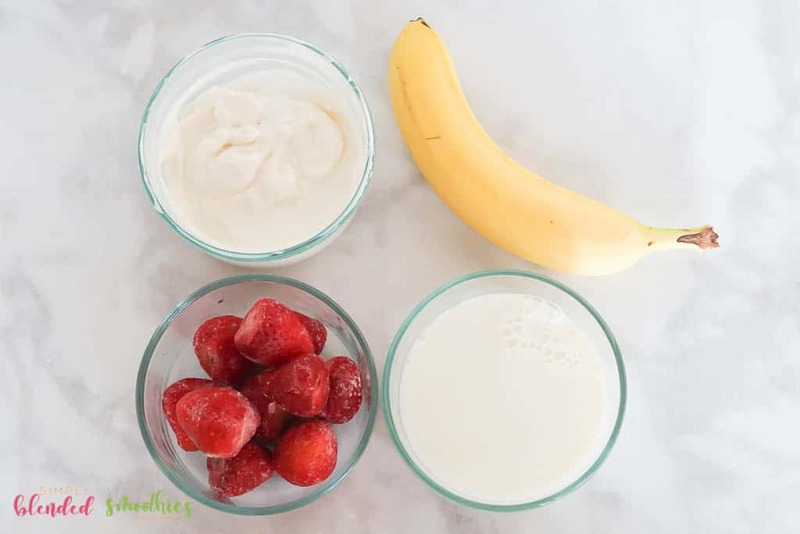 Or you can skip the yogurt all together! 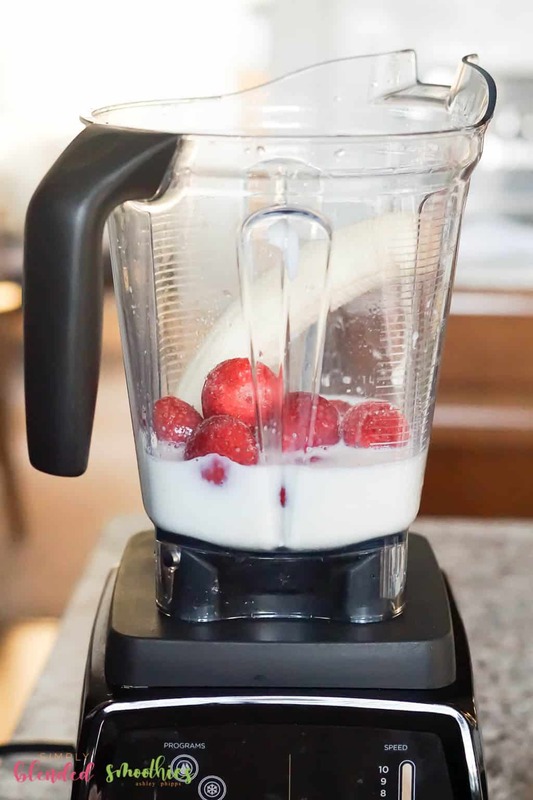 Your smoothie won’t be quite as creamy, but it will still be delicious and healthy! Oh yes!! 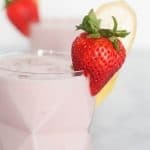 I love to use frozen fruits or vegetables in my smoothies to keep the smoothie cold, thick and negate the need for ice. If you are working with fresh fruits/vegetables, you will want to add ice to make your drink cold and thick. 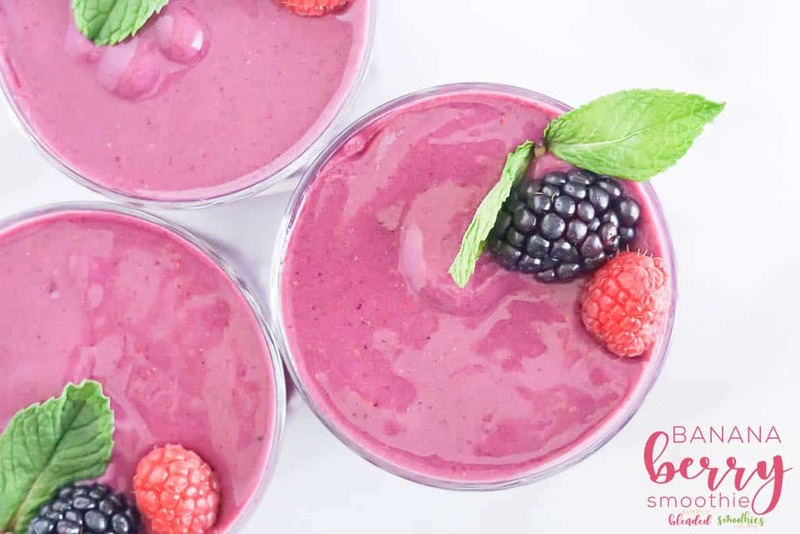 But frozen fruit is a great way to make a smoothie without the ice! 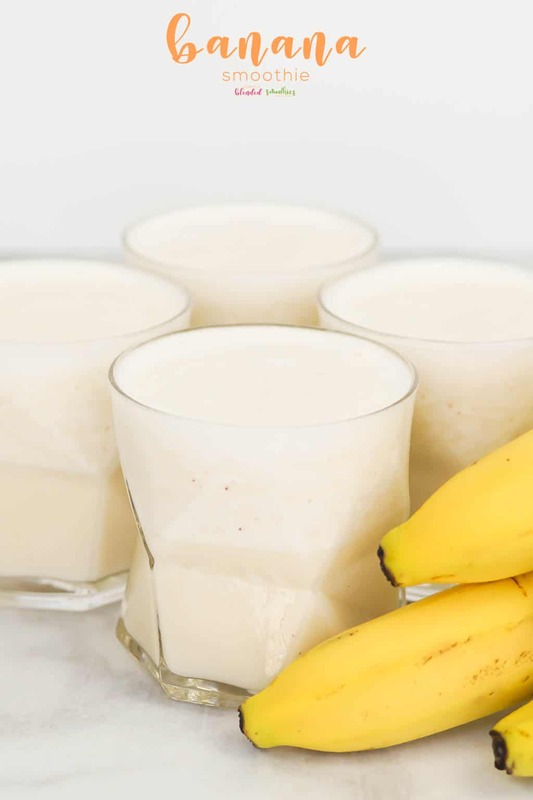 What do I use to make a strawberry banana smoothie? 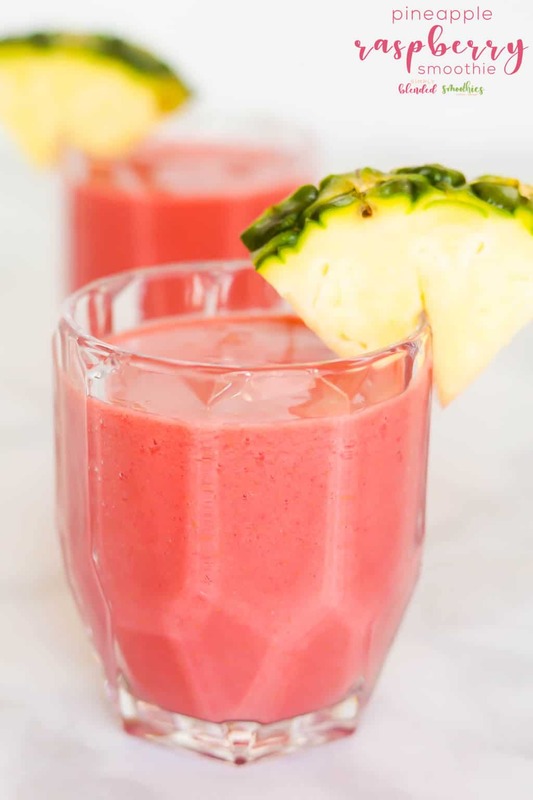 Pour into a glass and top with additional fruit if desired. 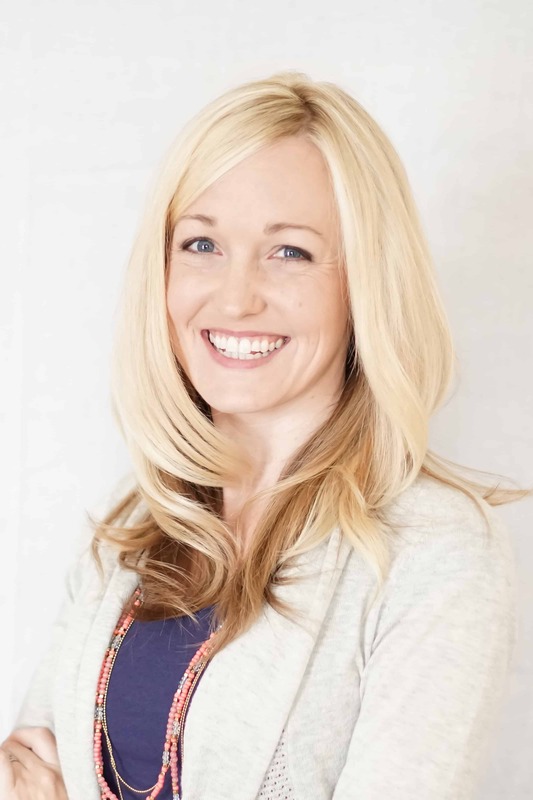 Love your fresh,delicious & healthy combos + so easy !! !